Working with existing businesses that are occupied can be a challenge. Baron Construction worked with Delk Industries in order to create a plan that would not deter existing deliveries and workflow, but also allow for personnel and construction work to occur. We were tasked with building a steel structure within the existing building, while keeping the facility watertight and conditioned. 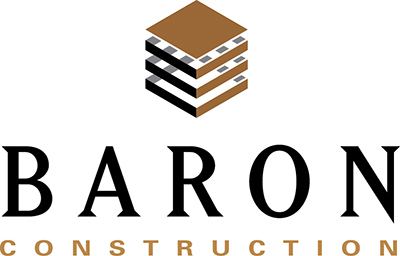 Baron Construction was able to keep the existing business clean and operable, and connected the new warehouse space to the existing space during construction. Our project team kept detailed delivery schedules with constant communication with our client in order to keep both processes working at the same time. This was accomplished through weekly meetings to review the schedule and design progress. In order to keep the building watertight, Baron Construction covered the roof during construction, and fast-tracked materials with long lead times such as steel, windows and exterior metal.